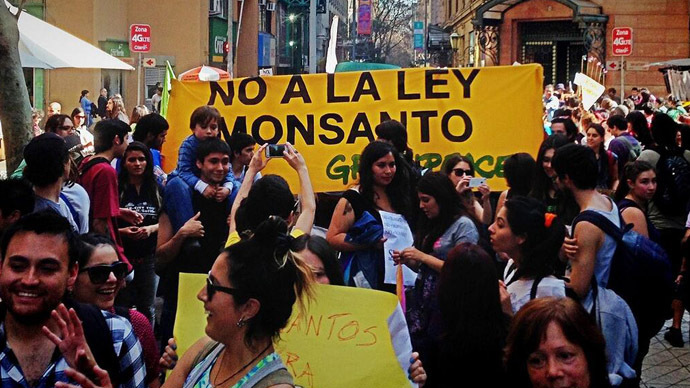 Thousands of Chileans have rallied against a bill dubbed the “Monsanto law” that would let multinationals patent GMO seeds. Activists say it will not only compromise food sovereignty in Chile, but will also harm consumer health. Other protesters dressed up as bees and zombies to illustrate their fear that the new legislation could lead to the degradation of Chile’s biodiversity. The legislation, which was proposed by ex-President Michelle Bachelet, is currently being discussed by the Chilean Senate and has already been approved by the House of Representatives. The law’s official name is the Plant Breeders Act, but it was branded the “Monsanto law” for the multinational agricultural biotechnology corporation. The patent would mean large corporations would set the price of seeds and who can use them, protesters claim. Santandreu said that if the law is passed, companies like Monsanto will exert their monopoly on the seeds market and introduce their own genetically modified products. 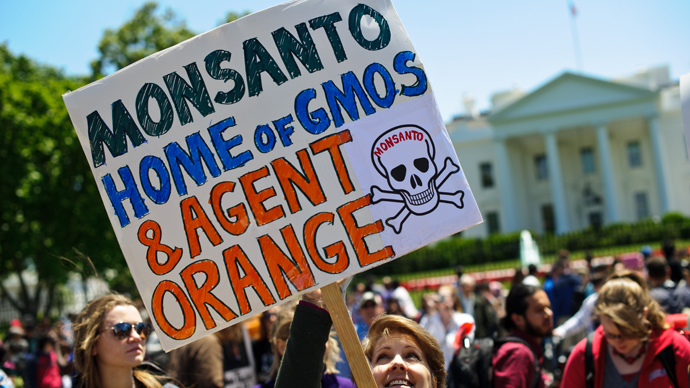 Monsanto has been the target of mass protests recently over the safety of their genetically modified products. In spite of the fact the transnational maintains its products are all perfectly safe, serious doubts have been raised. 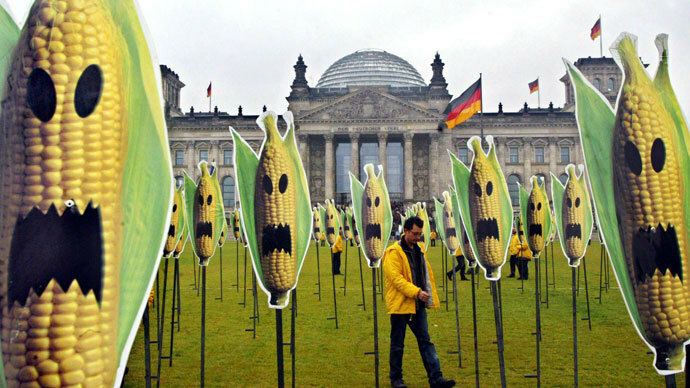 The transnational has been trying to expand into Europe, but has been thwarted by bans on GMO products in France and Germany. The company said it had dropped its bid to get its crops cultivated in the EU in July because of strong opposition. 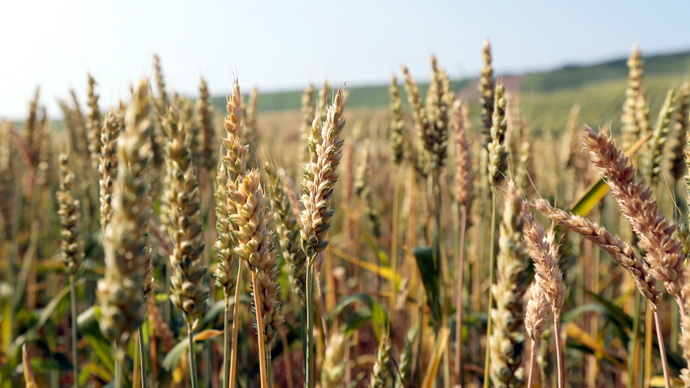 “We will no longer be pursuing approvals for cultivation of new biotech crops in Europe. Instead, we will focus on enabling imports of biotech crops into the EU and the growth of our current business there,” the US-based company said in an e-mailed statement. 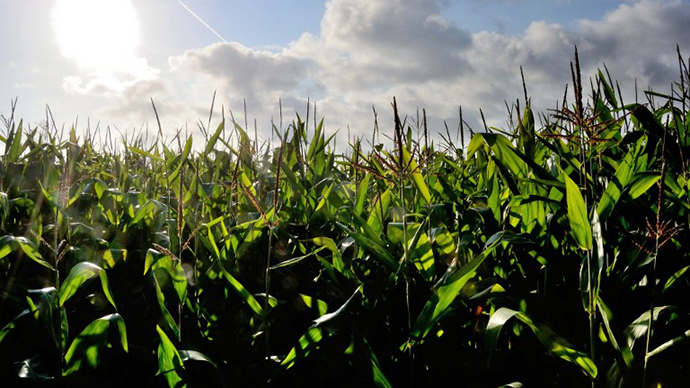 However, EU officials told RT that the approval of genetically modified SmartStax maize was in the cards. “The approval of SmartStax maize is expected in September or October,” a spokesman for EU health and consumer policy commissioner, Tonio Borg, told RT.